In this blog post, I am going to share an experiment that I’m about to run. I want more click activity on my site for my Bing Search Partners post n both Google and Bing. To do this, I am going to change my title tag and meta name description and see if I can get it to be more click enticing and increase its overall click-through rate. My hypothesis is this. If I can make my title and description stand out more, I will receive a higher click-through rate than the 5.9% I have received in the last 90 days according to Google Search Console. To do this, I am going to break down the competition, take historical data from both Google and Bing, push the update to both engines, and record the data. As a note, I increased the click-through rate from 5.65% (roughly) to 7.36%. The steps below are the steps that I took. At the end of the blog post, I will share the numbers with Search Console and Google Analytics. Above is a SERP snapshot from Google for one of my top impression and click terms. I chose this picture to show that while I am ranking on page one, I am in the middle of the page here. Regarding what I can control, I believe that my title tag and meta name description could even be better. What can I do to make this organic SERP listing stand out more for myself? I probably won’t be able to rank first for this against Bing, but I should have something that pops and grabs the user like some of the listings already. Before I can start coming up with new titles, I am going to gather some historical data from Google and Bing. The picture below is from Google Search Console, and the dates are taken from 12-21-2016 through 3-20-2017. If you are new to this platform, I would recommend checking out this guide around how to use search console. Another step you should take is using an API connection to pull all the queries that are associated with the landing page. If you have not been doing this for a while, I would recommend getting as much data as possible to conduct this test. Moz wrote an excellent guide on How to Get the Data You Need from Google’s Search Analytics API. The reason you want to check out this guide is that it will show how to pull all of your Google Search Console queries that are associated to the landing page. The process is straightforward, so you can collect a database and had even more than 90 days of data. I took a historical snapshot of the last 90 days to get an idea how this page has done overall. As you can see, I have some results to work with. The important metrics for myself to focus on are the average click-through rate for the last 90 days. Here is a snapshot of the keywords that are shown in Google Search Console. As you can see, the data is sampled and won’t hit the metrics above, but it gives myself a baseline to track the page overall and see if specific keywords are receiving a higher (or lower) click-through rate after I make the change. 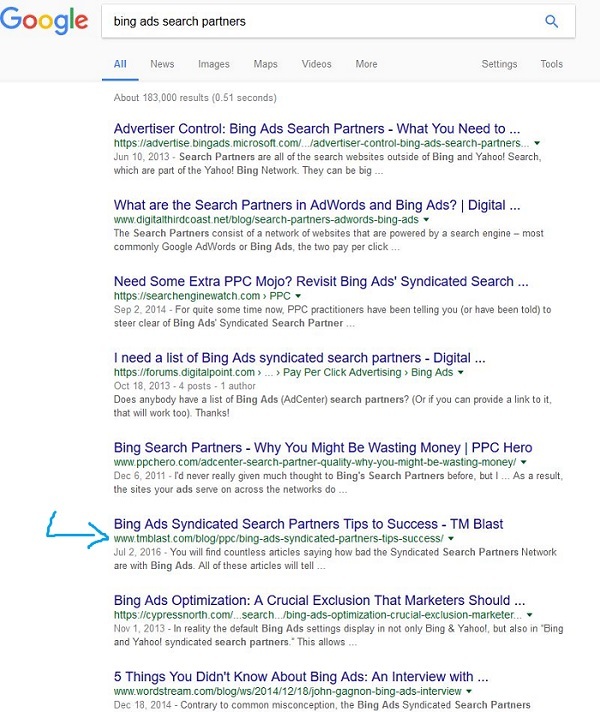 The results to this page in Bing is so low that I thought about not even sharing it as part of this test, but then I thought it would be worth it to show if it improved as well with the click-through rate. The data is kind of like Google, so I will share what the click-through rate is. This information is from the past 90 days (like Google), but you can see that the data is so much smaller, so I can use 7.14% as a CTR as just something to keep in mind. This is where the experiment starts. I already rank on page one for a good amount of terms in both engines, but I know that the majority of click activity happens at the top of page one. Once you start factoring things like mobile, you start to realize how little clicks you get at the bottom of page one. Regardless, I need to find a few things to test. I like the title tag from Search Engine Watch in both engines. Asking a question in the title tag stands out to me as something I would click on. Think of it like this. A lot of PPC marketers don’t know anything about the syndicated partners. If they ask any of their friends, you will hear a lot of them say it is garbage and to not even to bother. So if someone searched for something around this term, wouldn’t you want to see a question in the SERP that has an answer? I spent a lot of time going different variations. One of the keys is that I wanted my title tag to explain what this topic was really. I also wanted to make my description a bit smaller due to it being cut off in both engines since it was too long. I took the approach of making it a value prop for users actually to get something out of. Here is what I came up with. Once you make the changes, you need to fetch as Google and Bing to push the update as soon as you can. You want to do this to push your experiment faster. If you don’t, you might be waiting awhile depending on your sitemap frequency. Now that Google has received the change, I am going to start tracking daily once the SERP changes to see what happens. Usually, when I have turned the title tag on a page, I might see the SERP change which means my rankings might drop for a while. My advice is not to panic. SEO is about the long game here. I would welcome weeks of a drop off if it meant that 90 days from now I was able to reverse the 5.9% historical click-through rate and get somewhere closer to 10%. 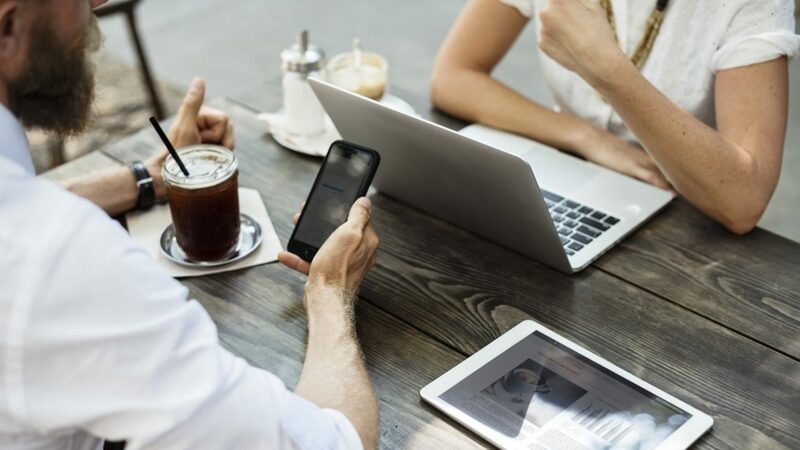 There are more factors than just a title tag, but this is an experiment, and you need to have things tested adequately so you can share a before and after. I look to the end of June to share my results. However, they end up! With the results in, I am here to share that the experiment was successful. I improved the click-through rate by more than 30% which resulted in more clicks to my blog post. Here is the data from Search Console below. As you can see above, the overall click-through rate has improved in Google while impressions and an average position has stayed the same. Those two metrics in Search Console are essential to look at when looking at an optimization. If there was a spike in impressions, there might be another reason why the numbers are inflated which would throw off your analysis. In this blog post, I am going to share an experiment that I’m about to run. 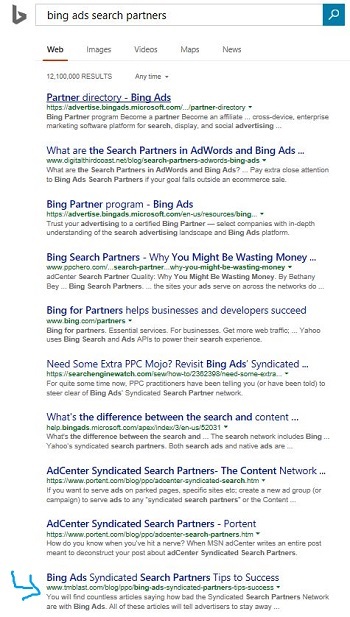 I want more click activity on my site for my Bing Search Partners post in both Google and Bing. To do this, I am going to change my title tag and meta name description and see if I can get it to be more click enticing and increase its overall click-through rate. My hypothesis is this. If I can make my title and description stand out more, I will receive a higher click-through rate than the 5.9% I have received in the last 90 days according to Google Search Console. To do this, I am going to break down the competition, take historical data from both Google and Bing, push the update to both engines, and record the data. As a note, I increased the click through rate from 5.65% (roughly) to 7.36%. The steps below are the steps that I took. At the end of the blog post, I will share the numbers from Search Console and Google Analytics.